Especially if you get to drink what was inside of the Crown Royal bag first. I want the concessions on the bagging event. Might get me one of those if they make them in half pint size. My bull would normally need the half gallon bag. But not this week! Anyone on here do knitting? Just did the snort-laugh! 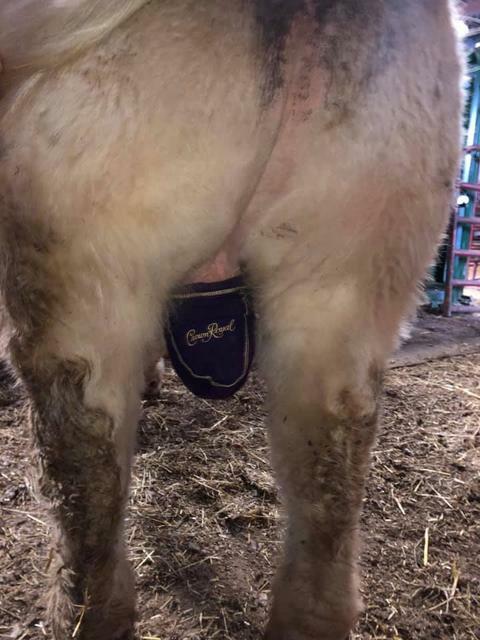 Excellent marketing opportunity for Crown Royal.